Campaign for raising funds for children’s hospital in CHC Split culminated on Split stadium “Poljud” where 15 thousand people gathered at a concert and a football match. 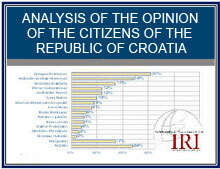 Prominent Italian and Croatian persons form political, sports and cultural life took part in the event. Robert Prosinečki, Zvonimir Boban, Dražen Zečić, Dragan Primorac, Goran Karan, Mate Bulić and many others played for the Croatian team while Eros Ramazzotti (on the left), Paolo Belli, Ricardo Acevedo, Gianni Morandi, Luca Barbarosa, Marco Carta, Stefano Tacconi, Stefano Eranio and others played for the Italian. Famous Italian singer Zucchero also came to support his team and this praiseworthy action. Over 87 thousand people called the call centre that was set up for the occasion, thus helping raise around HRK 600,000. Humanitarian organizations Split Stars Team and Cor Unum decided to make a contribution to raising funds for the families of the firefighters who were killed or consequently deceased in Kornati fire by launching the campaign “From the Heart…” The campaign was inspired by the Split Stars Team initiative, especially the singer Goran Karan (as well as other members, such as Oliver Dragojević, Dražen Zečić, Tedi Spalato, Giuiliani etc.) and in cooperation with the organization Cor Unum, which brings together numerous eminent Croatian scientists, musicians, athletes etc. Dragan Primorac played with the COR UNUM Stars Team a friendly match between Hajduk veterans and the Herzegovina County and the City of Knin team and friends. The mayor of Knin, Josipa Rimac, kicked off this very interesting duel of athletes, politicians and businessmen. On 30 March 2008 at the sports hall Bibinje, Dragan Primorac took part in a charitable sports event– an indoor football match between the harmony-singing group Intrade and the friends of the Croatian humanitarian organization COR UNUM. Dragan Primorac and the representatives of the humanitarian organization COR UNUM visited and handed a donation to four under-aged children of the Božić family who, after first losing their father, and recently also their mother, remained without parental care and are now living in difficult conditions with their relatives. On 26 May 2008 a charitable football match was organized for the purposes of raising funds for the National Foundation for the Support to the Pupil and Student Standard. The main role of the Foundation is to raise and distribute funds in the form of state scholarships, awards for talented pupils and students and assistance to special programmes aimed at contributing to the improvement of the pupil and student cultural and living standard. 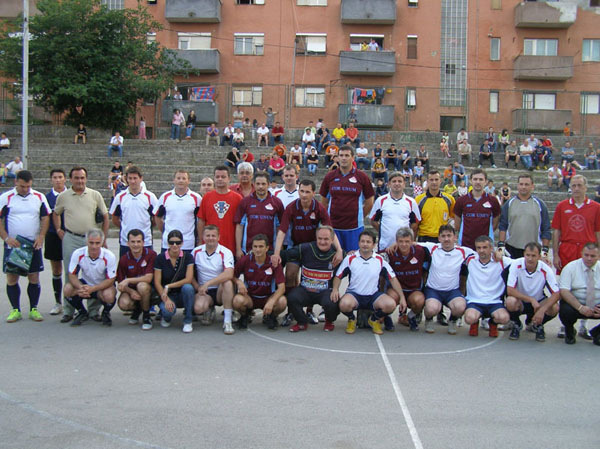 The match was played between the team of Ćiro’s Vatreni (famed 1998 Croatian National Football Team) and the team of the humanitarian organization COR UNUM, including a number of the current Ministers of the Croatian Cabinet, Members of the Croatian Parliament, as well as some of the prominent Croatian athletes, actors and musicians. The match was held at the stadium of the football club VARTEKS in Varaždin and was broadcast live on the national television channel, HTV. During the match donations were received from callers at a call centre where a number of public and famous persons from Croatia’s social, political, cultural and music arena answered calls within this praise-worthy campaign. HRK 4m was raised and about 11,000 spectators saw the match.